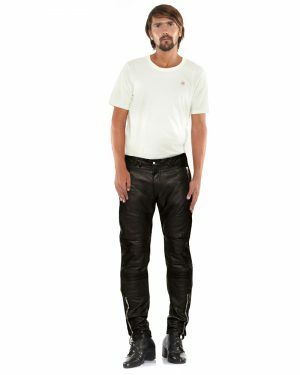 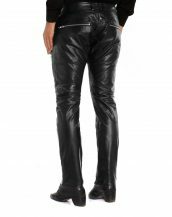 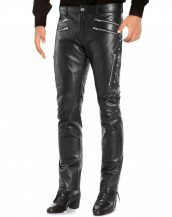 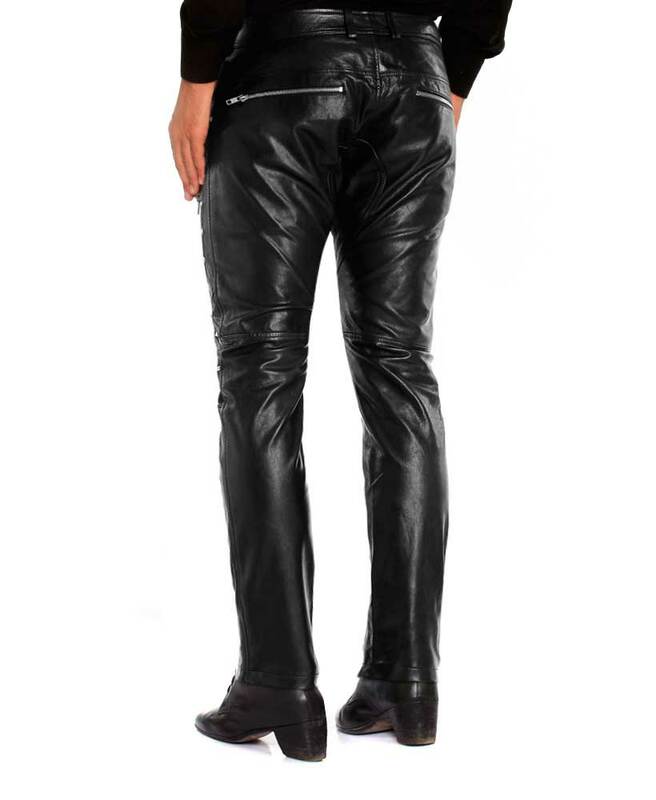 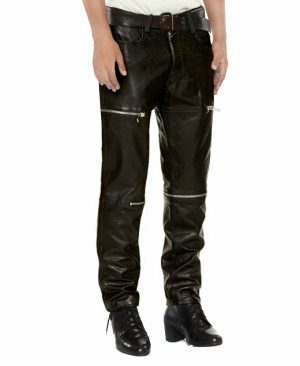 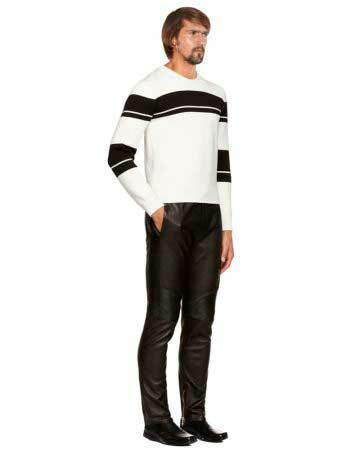 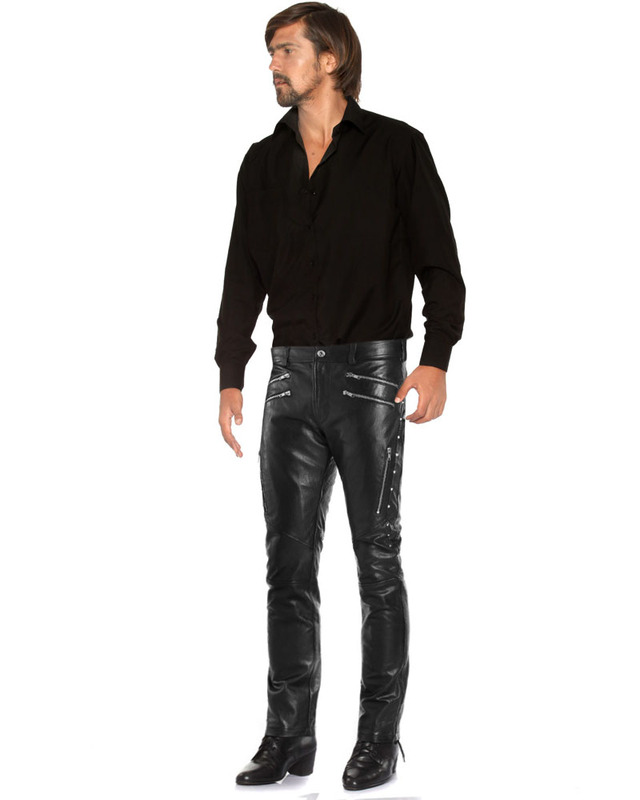 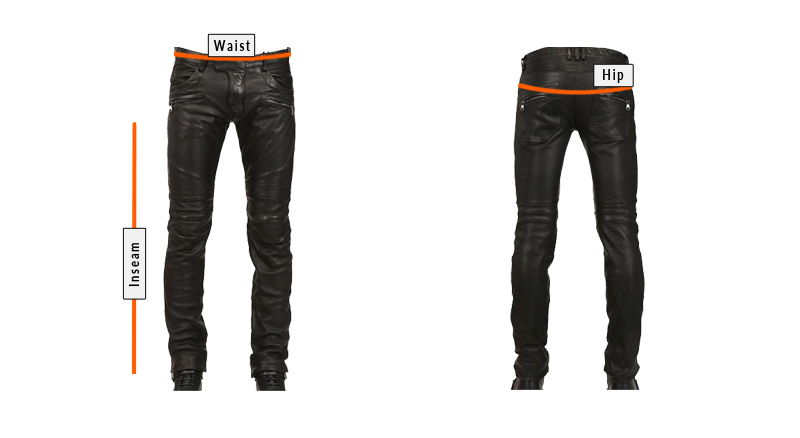 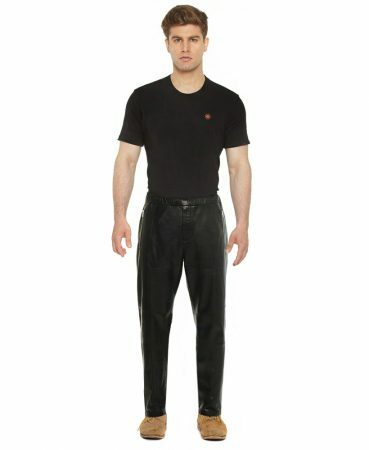 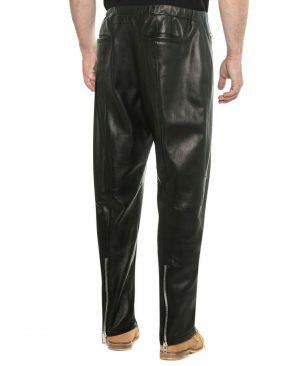 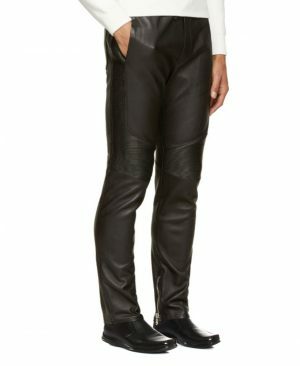 Shop these mens black leather pants online in slim fit with trouser style zip fly tab. 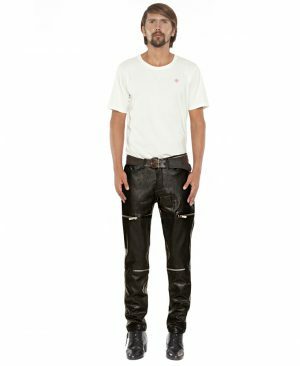 The double zipper front pockets along with side and back create a utilitarian rugged piece of clothing fit for the fashionably adventurous. 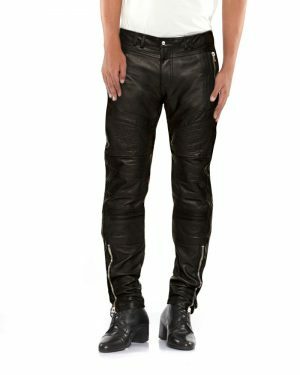 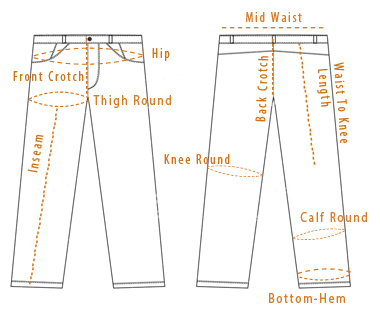 The studs along the out seam gives it a moto clothing style while keeping it sharp and understated.